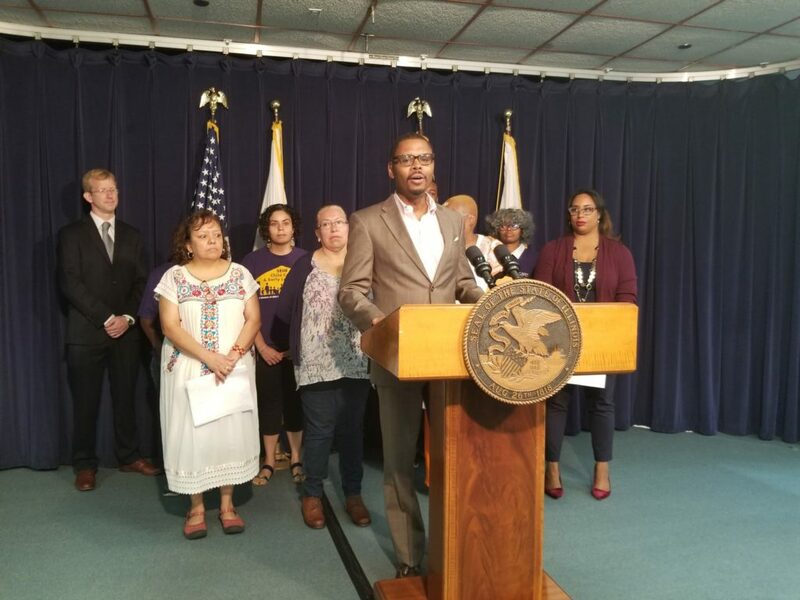 CHICAGO–Child care providers were joined by State Senator Toi Hutchinson this morning at a press conference announcing their filing of a class-action lawsuit which seeks to compel the Rauner administration to comply with a 4.26% rate increase for low-income child care workers. The rate increase was approved by lawmakers and mandated by Illinois Public Act 100-0587. Plaintiffs in the suit, filed early this morning, include child care providers who have been denied the rate increase which was to be put in effect by July 4, 2018. Like most providers in the state’s Child Care Assistance Program, Wilder’s take-home pay is substantially below the state’s minimum wage. “Broken down hourly, it equals $3.38 an hour,” she said. 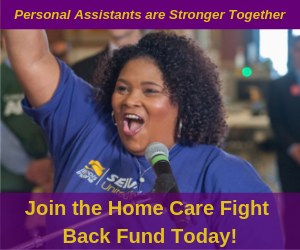 The Child Care Assistance Program provides low-income parents in Illinois with a crucial work support—access to affordable and accessible child care which enables them to work or earn a degree in order to better support their families. Speakers at this morning’s press conference highlighted how the Governor’s denial of the mandated rate increase is just the latest in a series of attacks he has leveled at the state program.